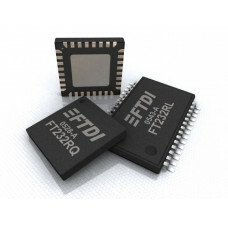 Fully integrated 1024 bit EEPROM storing device descriptors and CBUS I/O configuration. Data transfer rates from 300 baud to 3 Mbaud (RS422, RS485, RS232 ) at TTL levels. 128 byte receive buffer and 256 byte transmit buffer utilising buffer smoothing technology to allow for high data throughput.